There is a reason why rice and beans are staples of many diets: they are satiating and the cost-benefit is great. My time in Nicaragua was filled (no pun intended) with rice and beans, and the occasional scrambled egg or piece of fish. And each time was delicious. I spent today at the beach, enjoying the longest day of the year and simultaneously getting sunburnt. I biked to the farmers’ market after the beach, where I purchased greenhouse tomatoes and a quart of strawberries. Money well spent. You know that feeling after you spend a day at the beach? Tired, happy, sandy, even dazed? I needed an easy and filling dinner. What better opportunity to make simple rice and beans. This may not be the most “local” meal, particularly because I used a mango which must have traveled some extraordinary amount of miles. But with just a few (and inexpensive) ingredients, this meal was perfect after a day spent in the sun. 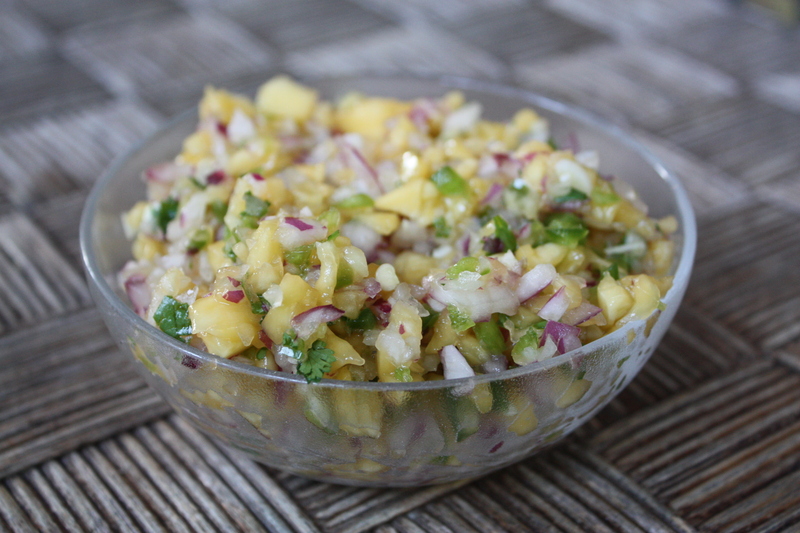 To add some spice, I made a simple mango salsa and served the dish with guacamole that I found in my fridge. Place all the ingredients in a small food processor and pulse until the ingredients are combined but retain a chopped texture. Serve with black beans and rice. 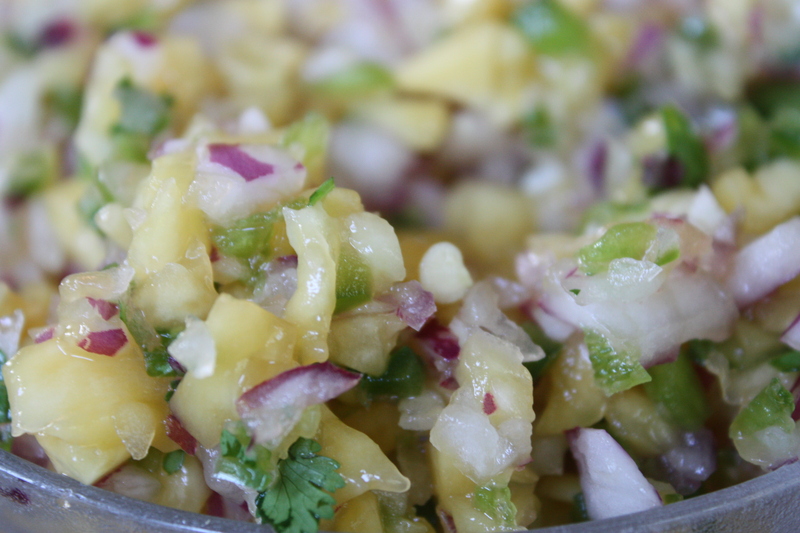 Garnish with cilantro, lime juice, guacamole, cheese or other toppings.